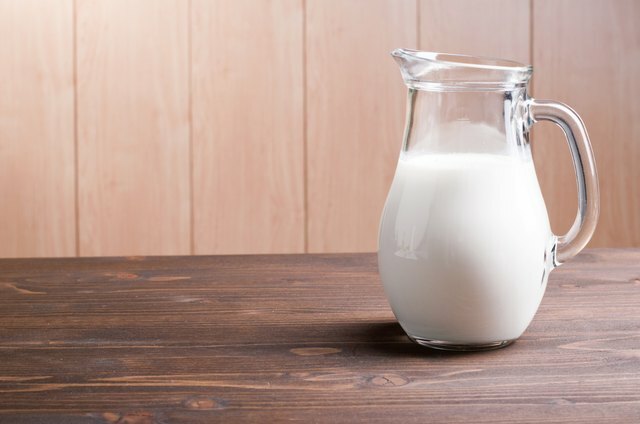 Evaporated milk, sold in cans in grocery stores, is fresh milk that has had almost 60 percent of the water content removed. The product adds richness to dishes without increasing the milkfat. You may use buttermilk in place of evaporated milk in recipes, but the substitution will affect the taste and, in baked goods, the leavening reaction. Buttermilk sold in stores is also known as cultured buttermilk. 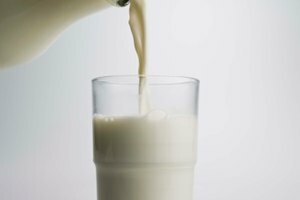 It is made by adding bacteria to low- or non-fat milk. The bacteria, similar to that used to make yogurt, is what gives buttermilk its thick texture and sour taste. 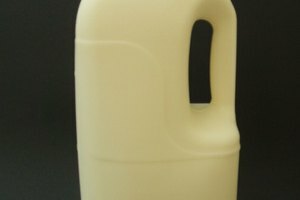 Buttermilk contains less fat than evaporated milk. It has a similar texture, but it is much tangier. Despite its thick texture, buttermilk contains more water per same-size serving than evaporated milk. Foods made with buttermilk will have a slightly sour taste that is often appealing, especially in baked goods like cakes or biscuits. Evaporated milk contains no acid, so in baked goods it must be paired with baking powder, which contains both an acid and a base. Because buttermilk contains acid naturally, when used in baked goods it needs to be paired with baking soda, a base. When using buttermilk in place of evaporated milk in a recipe, replace the baking powder with 1/4 the amount of baking soda. This will help baked products achieve a light, fluffy texture. Use buttermilk in place of evaporated milk in a 1:1 ratio for any foods, including baked goods such as muffins or stews. The thickness of the two substances are similar, but expect the fat content of your finished product to be different. Buttermilk is made from low- or non-fat milk, while evaporated milk is made from whole-fat milk. Use buttermilk to replace other liquids in baked goods. 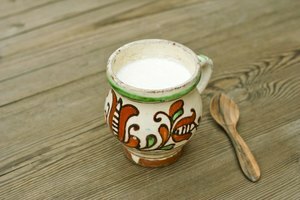 Make your own cultured buttermilk by adding 1 tablespoon of cultured buttermilk to 1 cup of milk. Let the mixture rest in a warm environment, covered only with a clean cloth, for about 24 hours. Once the milk has thickened, seal and store it in the refrigerator. An alternative substitute requires adding vinegar or lemon juice to milk. Use 1 to 2 tablespoons of the vinegar or lemon juice for every cup of milk. Stir and let the mixture sit until curdled, or about 10 minutes. While this will thicken milk and give it some sourness, the finished product will not be as tangy as cultured buttermilk. Nestle Carnation: What is Evaporated Milk?